Today is Govardhan Puja. The day after Diwali - Pratham. The residents of Vrindavan used to do Indra puja. Krishnji, still a child of around 8, said, we should pray to Govardhan hill which feeds our cows and is the source of our wealth and well-being. So on the day after Diwali we also start a financial new year in many parts of India by opening new financials books and sanctifying the books with Puja. So going back to Vrindavan, everyone started preparing for Govardhan Puja. Lord Indra was very cross! He's the God of rain and started pouring down torments of rain, thunder and lightning. The homes started getting damaged and people didn't know where to go. So, Krishnji used Giriraj (Govardhan) as a refuge by lifting the hill on his little finger and having everyone under it. 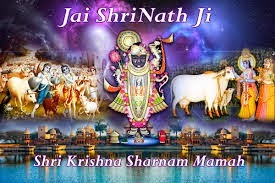 Krishnji lifted Govardhan about 7 days before Diwali on Saptami. Now there's another story related to Govardhan. There was a Gopi who got married to Krishnji's friend. As she was leaving for Vrindavan her mother told her not to look at this boy, Krishn. The Gopis get so mesmerized by him, that they forget everything and get drawn to him. So when this newly wed Gopi's palanquin arrived in Vrindavan, Krishnji naturally wanted to see His friend's bride. So Sri Gopal went and peeped inside the palanquin, but scared of getting hypnotized the Gopi turned her face away. Then Sri Kanhaiya went to the front, and she turned away again! This happened a few times. Then came the day of lifting Govardhan hill. 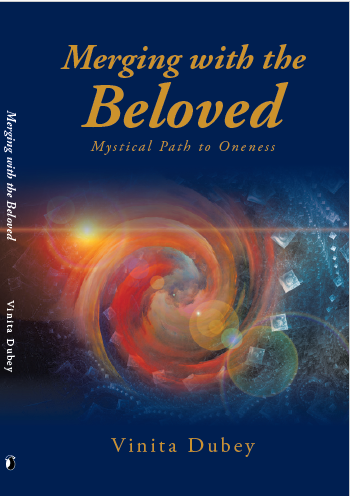 That day this Gopi looked at her Giridhari for the first time and melted completely into Him. She continued to look at him for the seven days that He lifted the hill. 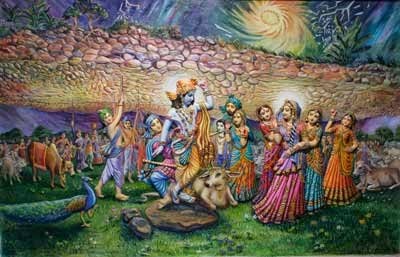 It is said that Giridhari told this Gopi that for the number of times you avoided looking at me, for those many lifetimes you will not remember me. But then you will be born as one of my greatest devotees. And when she was born as this devotee she remembered who she was when this little girl saw a statue of Giridhari lifting Govardhan. Therefore she always addressed Him as Giridhari. Do you know who she is? Yes :) Who wrote this comment?